Hope you're doing well ! At some places, spring is here while some regions are seeing beginning of summers. All the seasons are beautiful & bring joy to our lives. It is really a great thing that we experience different seasons. Change is inevitable. It saves us from feeling of boredom. We're definitely lucky to embrace these beautiful seasons. With the changing season, one thing that should never be changed is taking care of yourself & ofcourse, it includes skincare and haircare. To enhance your beauty & to just feel better. It is not necessary that you should do it because of others. There is no requirement to impress others by doing so. You should do it for yourself because you are worthy. Self care is not selfish. So, today I am bringing you a very easy & valuable tip that can save some of your money & best thing is it is better than the product available in the market. Review of Boroplus Doodh Kesar Body Lotion (Antiseptic). Hope you all are doing well ! Self care is not selfish & skincare is must. Skincare not only enhance your natural beauty but it also helps you fight against many skin problems. 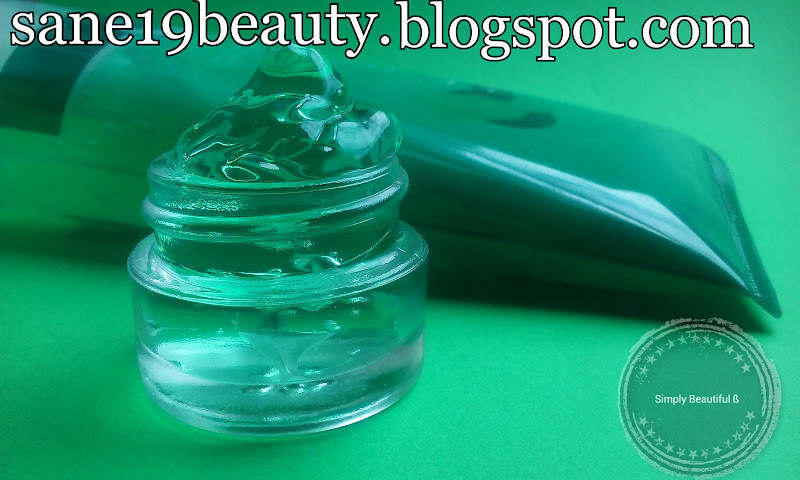 We are living in a world where everyone is looking for natural products especially when it is about skincare. 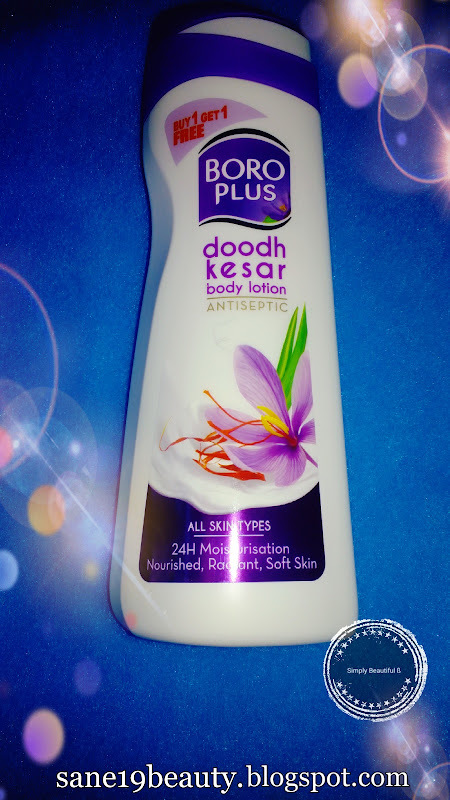 Today, I am bringing you the review of Boroplus doodh kesar body lotion Antiseptic. 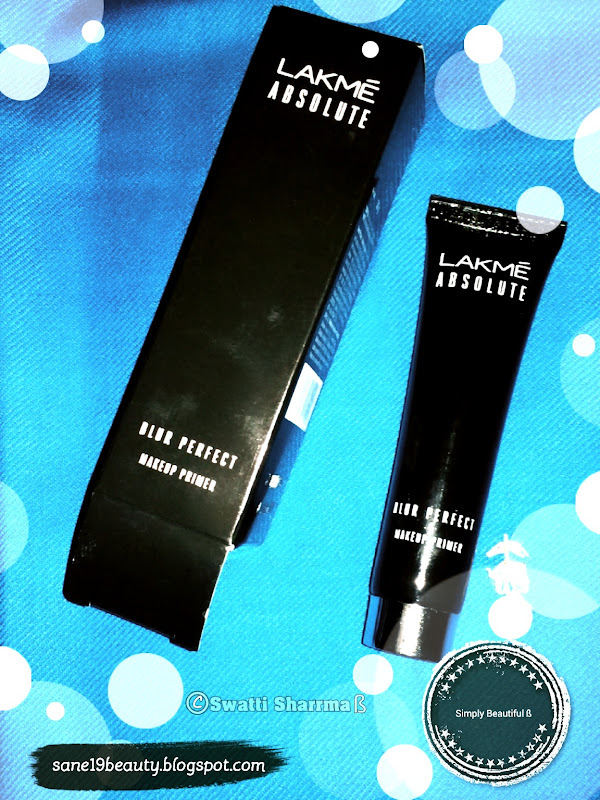 Review of Lakmé Absolute Blur Perfect Makeup Primer. So, whatever you are doing, keep going on and never give up ! Add sparkle everywhere and shine out brightly. 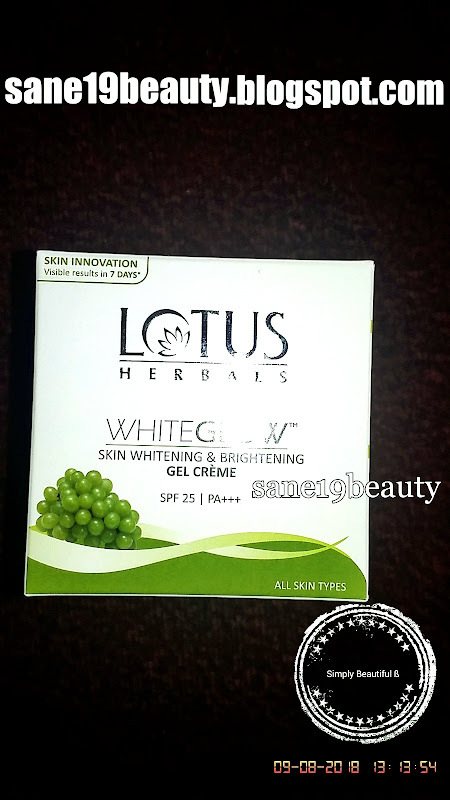 Review of LOTUS HERBALS WHITEGLOW Skin Whitening & Brightening Gel Créme. Love yourself. It is important to staypositive because beauty comes from the inside out. Apart from these, you can follow a beautycare regime. There are many products available in the market and stores which can help you in it. To help you out it, I keep on posting reviews on products so that you can get an idea whether it is worth buying & using or not. These reviews are not paid reviews and are completely based on my experiences. Hello, I am Swatti Sharrma as Simply Beautiful ß. I have started blogging from June 2017. I am an influencer (social media influencer), entrepreneur, microbiologist and I love writing blogs on beauty,health,life and about social topics which matters a lot. I am an Amazon influencer too ! I love cooking also.I am fond of technology.I have a vast list of hobbies . I am scientific person and at the same time like art, creativity & innovation. I believe that life is to live & let live. I am an optimistic person with never give up attitude and problem solving approach. I believe in living life honestly in a positive & meaningful way to make it worth.I love being simply natural & simply beautiful ß 🌞💖😊❤😍💫🌌 Thanks for visiting my profile. Joy's 24carat gold glow kit.